TippiTopper | Organic Seasonings For Kids | THE picky eater mealtime SOLUTION! 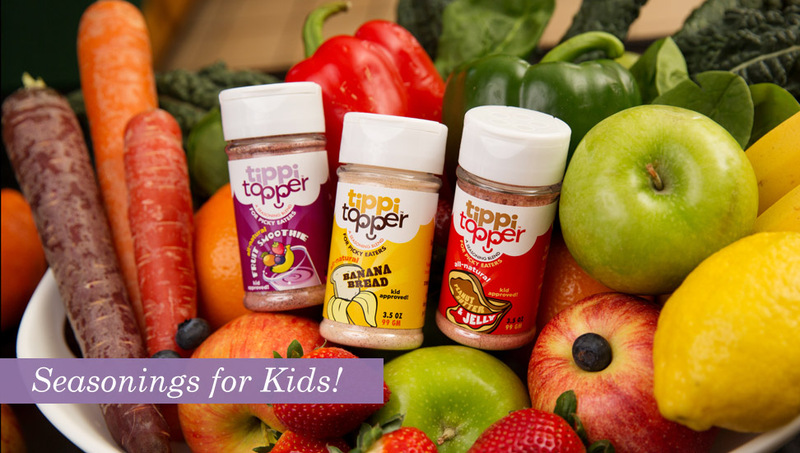 TippiTopper all-natural, organic seasonings are made specifically for kids! Made with real organic fruit, kids love the taste and parents love our natural ingredients. 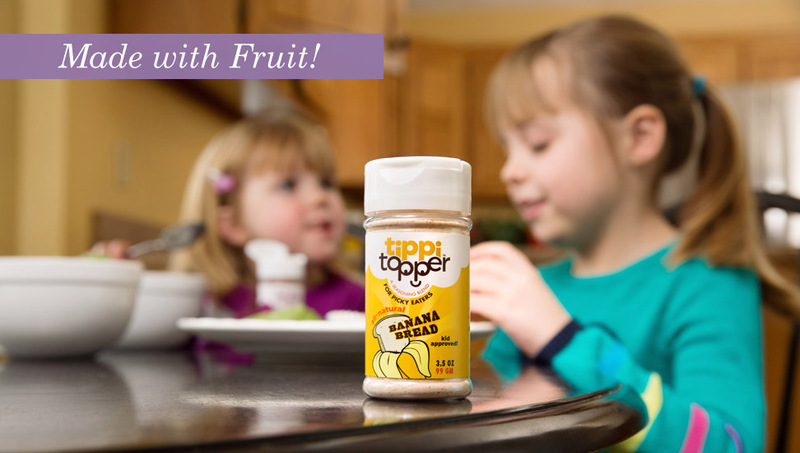 Kids sprinkle TippiTopper on any meal or snack; use in favorite recipes; or add to plain foods for a natural boost. 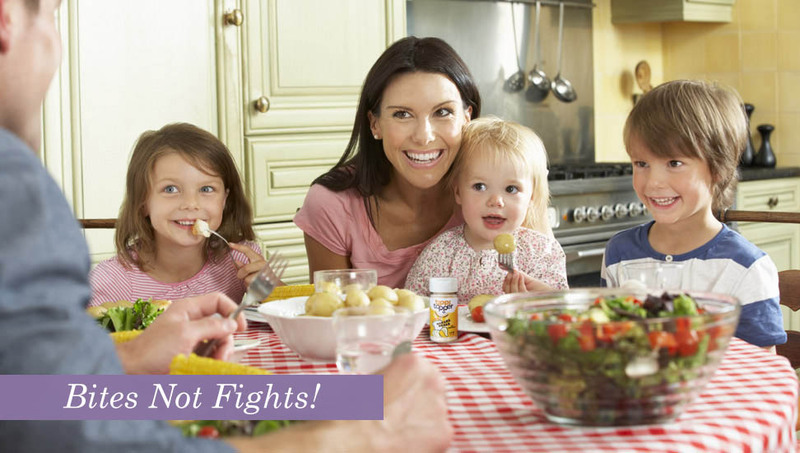 Enjoy family mealtime again! Available in Fruit Smoothie, Banana Bread and PB&J. All 3 Flavors – $4 off + Free shipping! Banana Bread – Free Shipping! Peanut Butter & Jelly – Free Shipping! Fruit Smoothie – Free Shipping! PB&J seasoning on chicken? Absolutely! Add to any meal or snack anytime & anywhere. Give a natural boost to your yogurt, cereal, salads and proteins! Whether you have a picky eater or your kiddo hungers for flavor control, TippiTopper is the 100% natural way to end mealtime struggles. Our seasonings are made entirely from organic fruit powders. We start with a whole organic fruit which is then dehydrated and pulverized into a powder. Simple, natural and delicious! TippiTopper can be sprinkled on any prepared snack or meal to give the picky eater flavor control with a familiar favorite. It works! Alan on Fruit Smoothie – Free Shipping! Susannah on Banana Bread – Free Shipping! Liz C. on Fruit Smoothie – Free Shipping! © 2015 Taste Buddy Kitchen. All rights reserved.